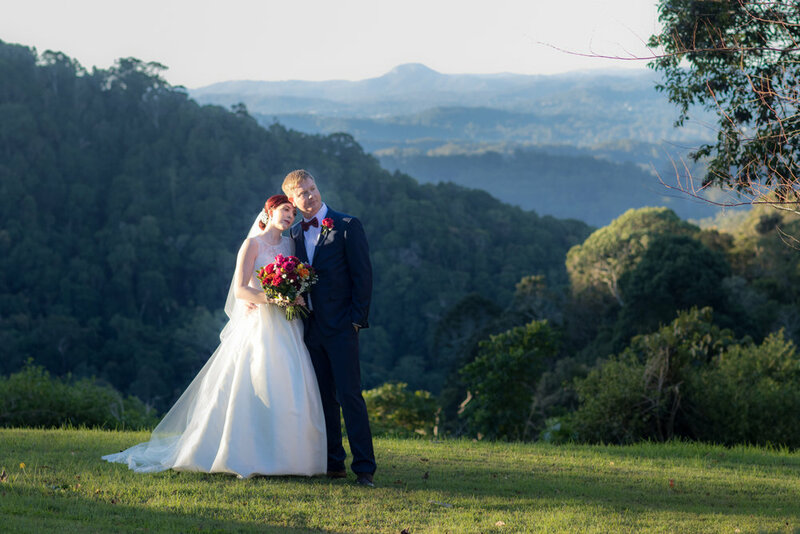 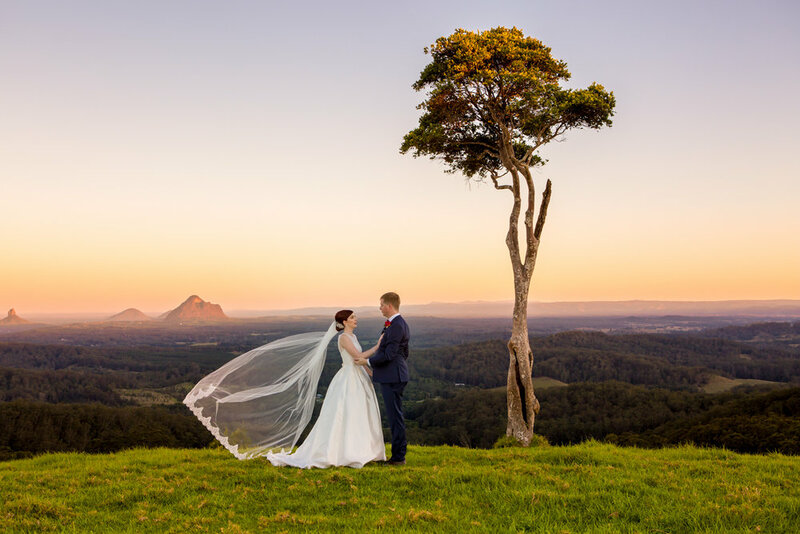 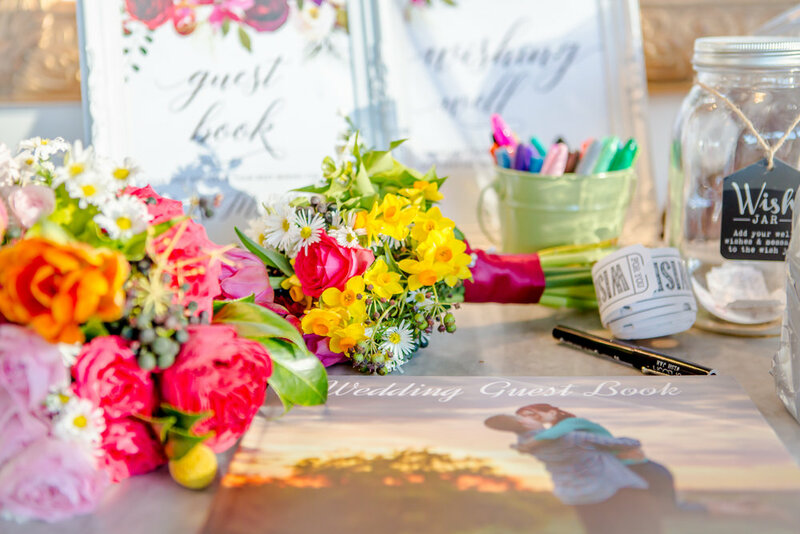 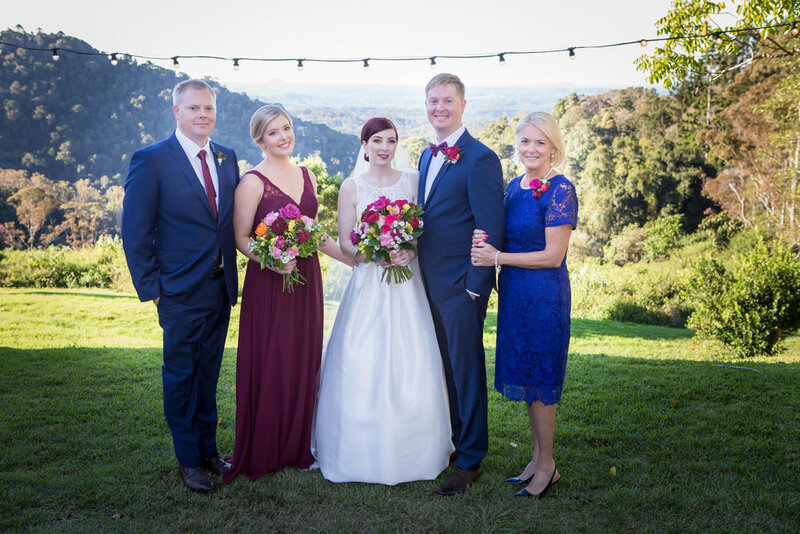 The Sunshine Coast Hinterland is possibly one of the prettiest places in Australia and Christy & James live not far from here, so a stunning choice to make. 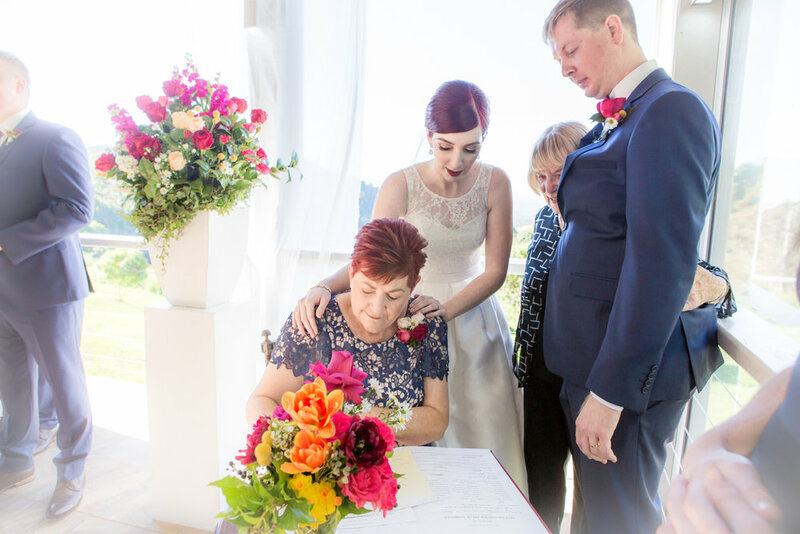 I'm normally not likely to travel this far to cover a wedding, but for me this is family, my nephew is the Groom. 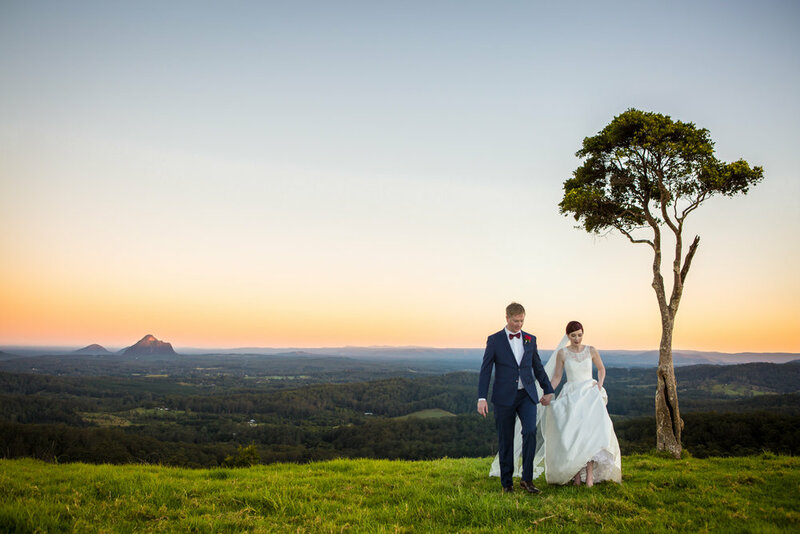 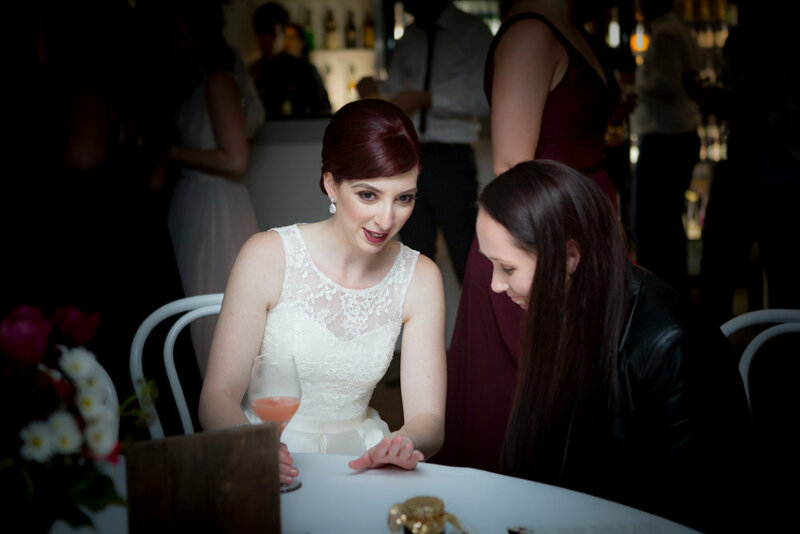 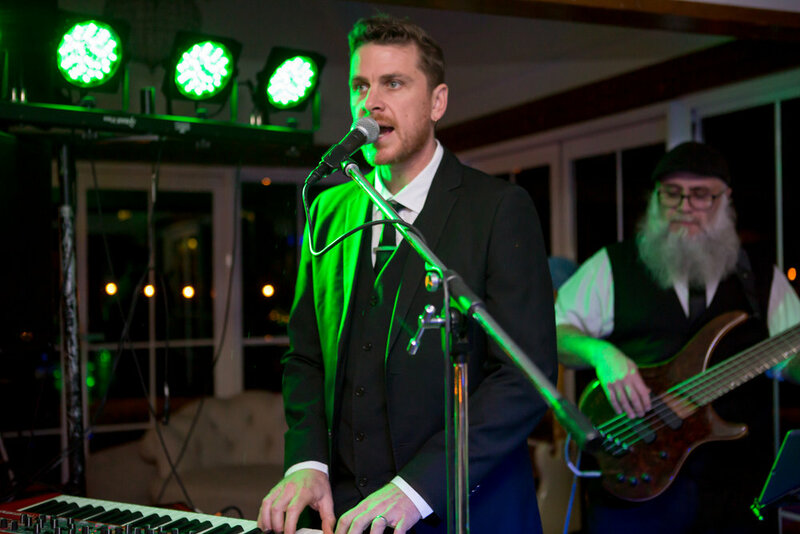 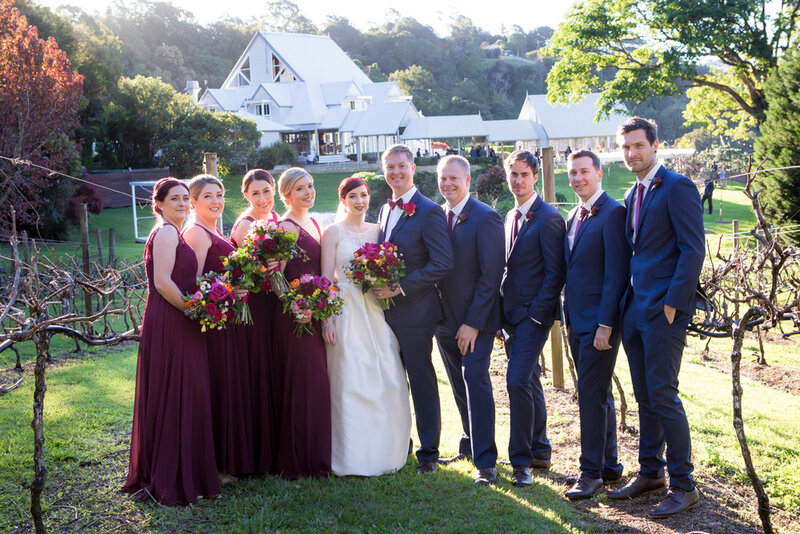 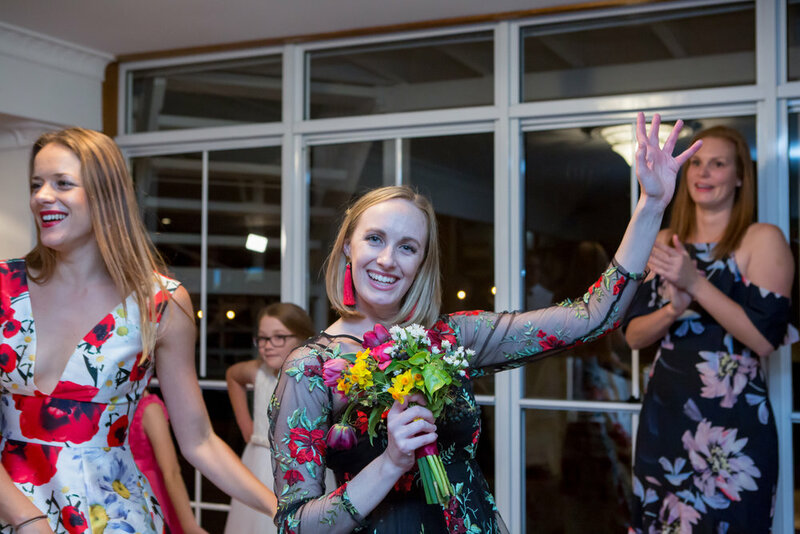 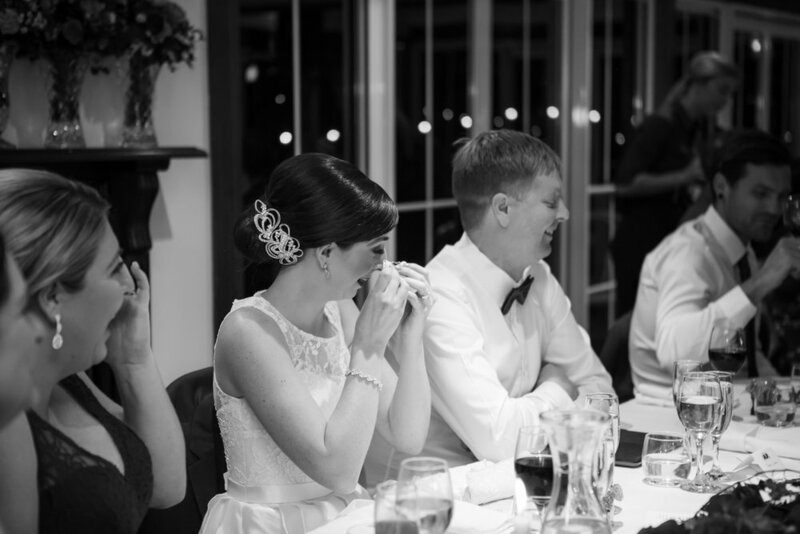 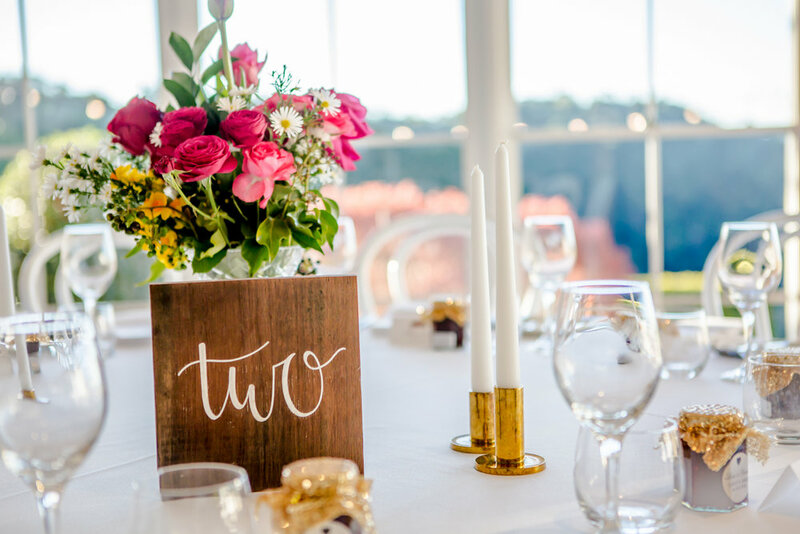 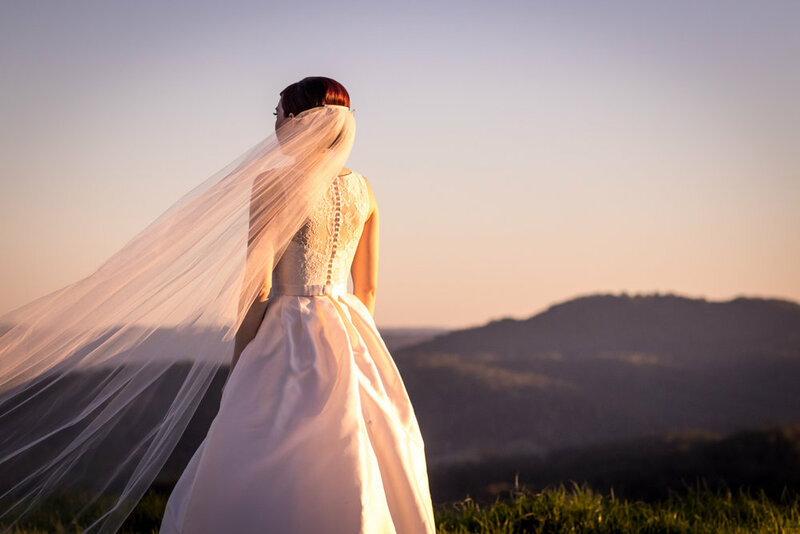 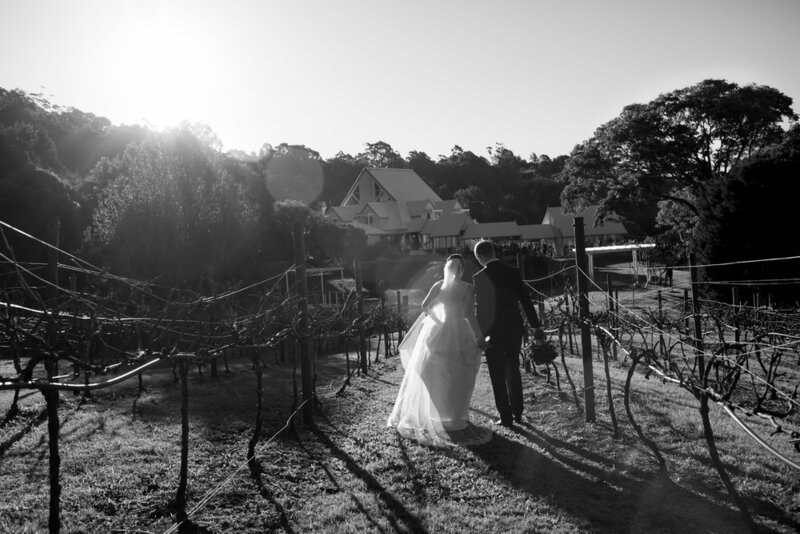 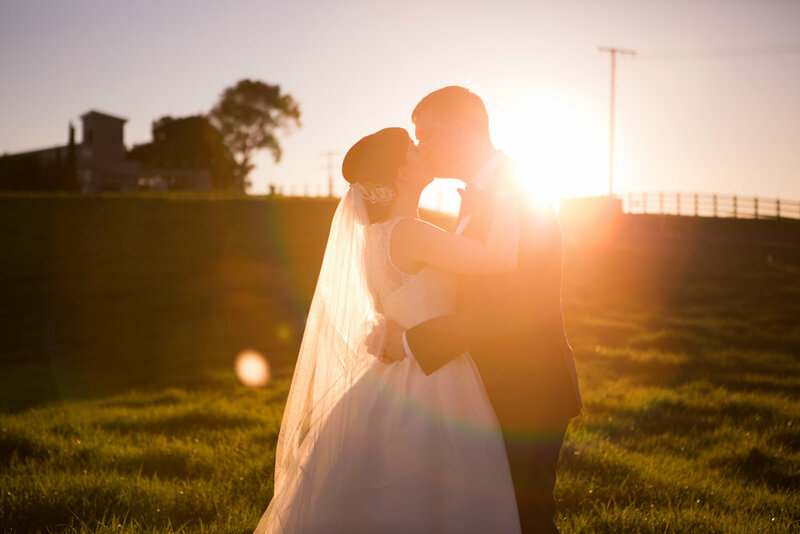 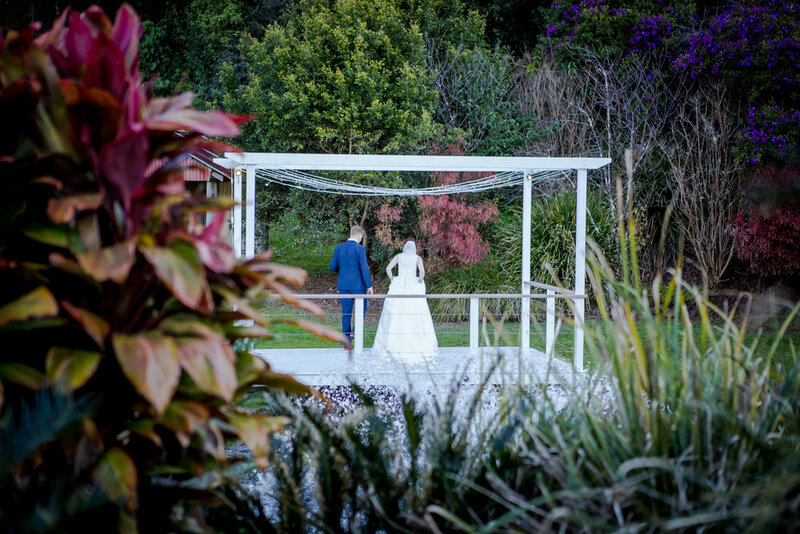 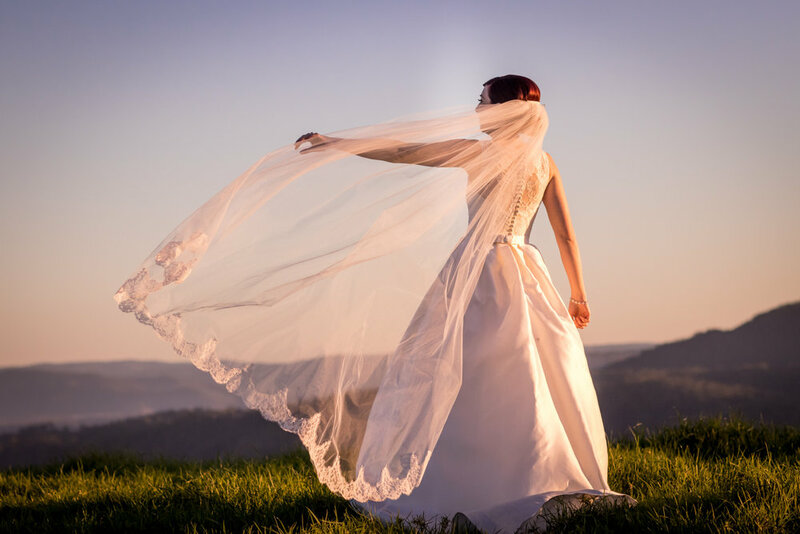 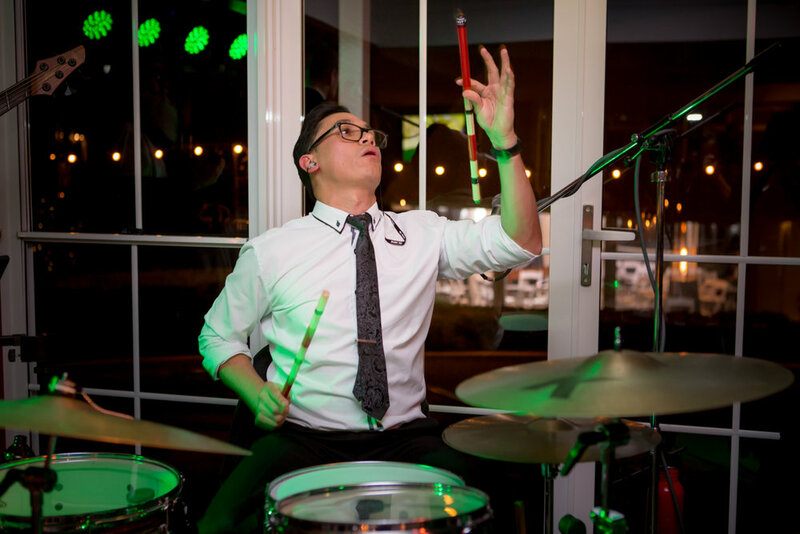 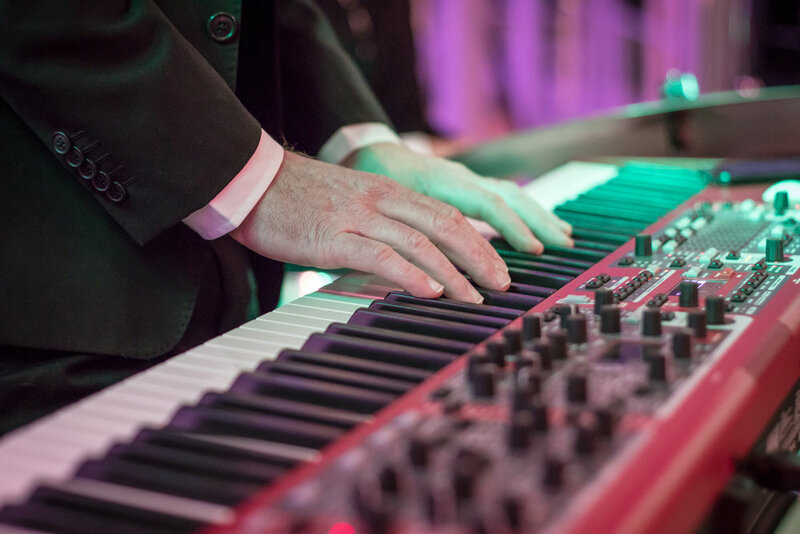 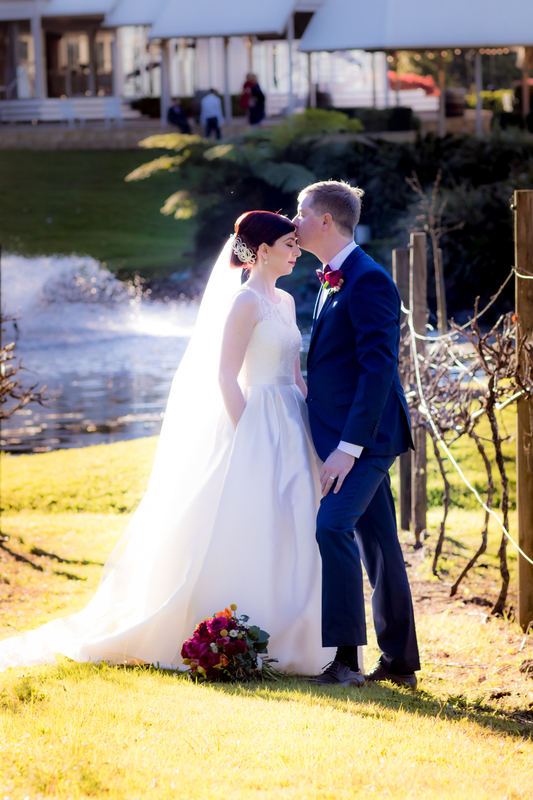 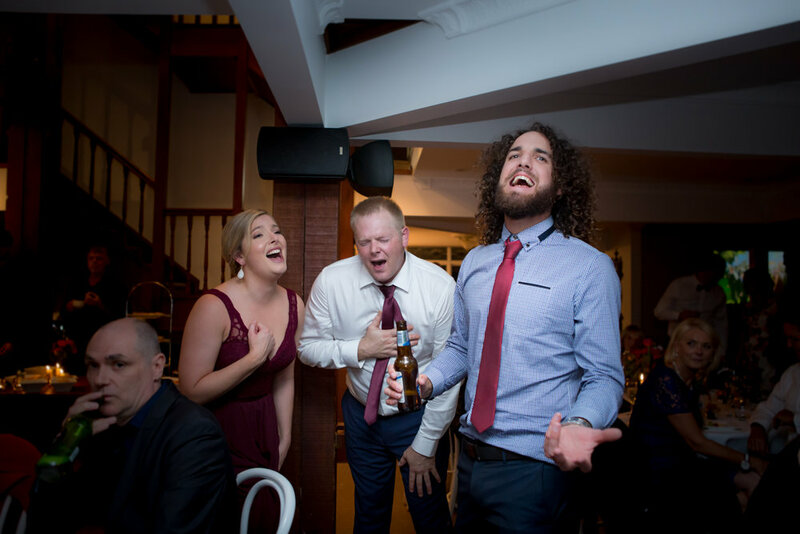 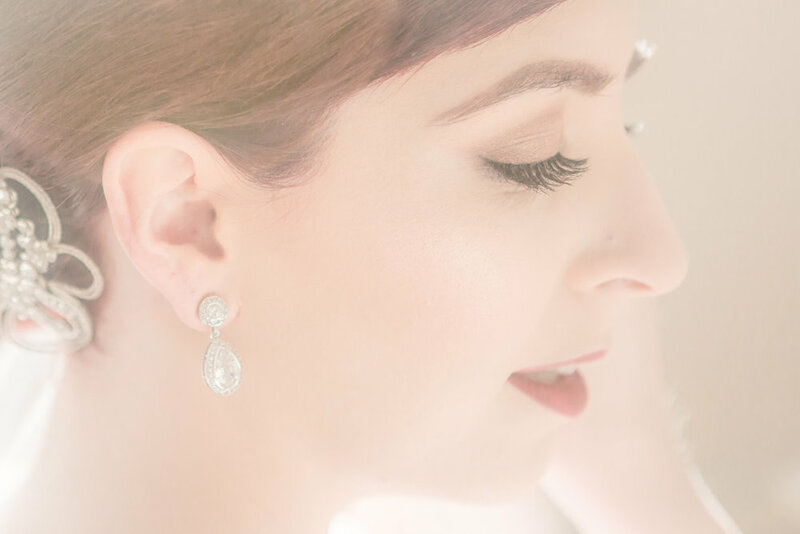 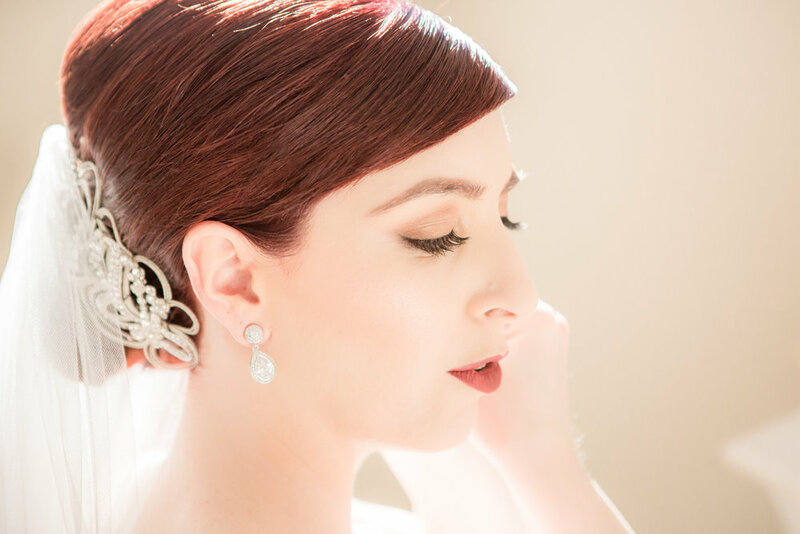 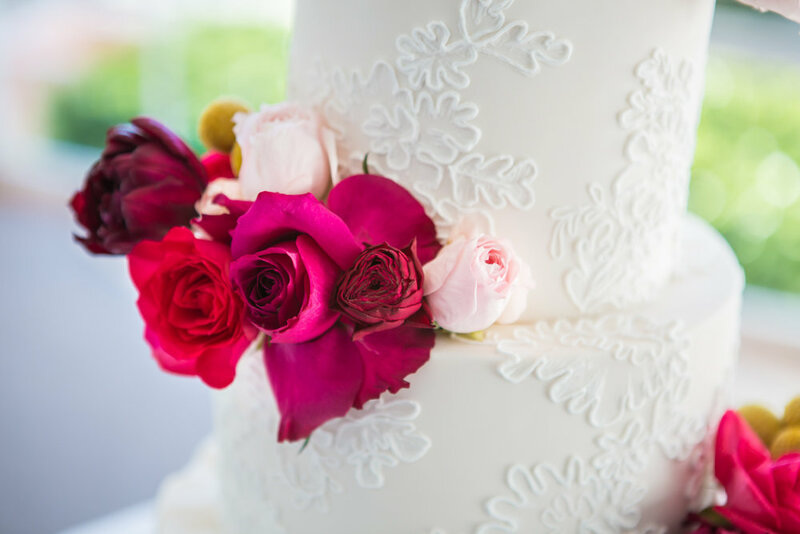 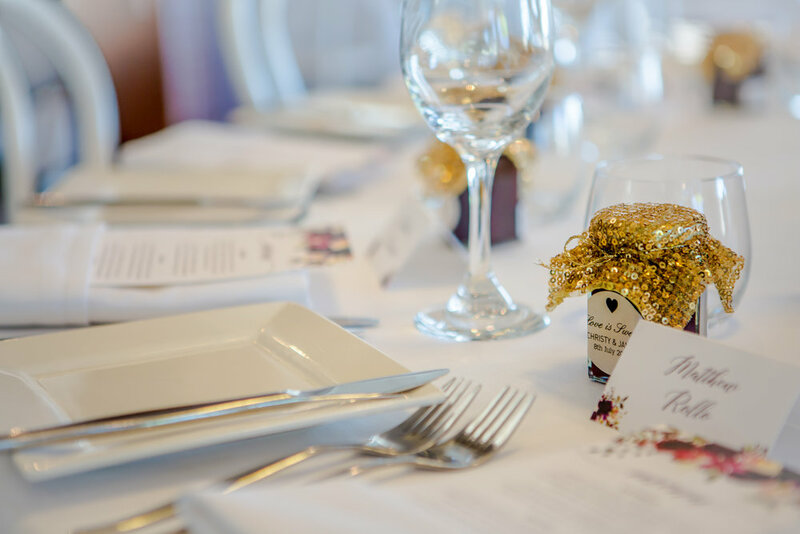 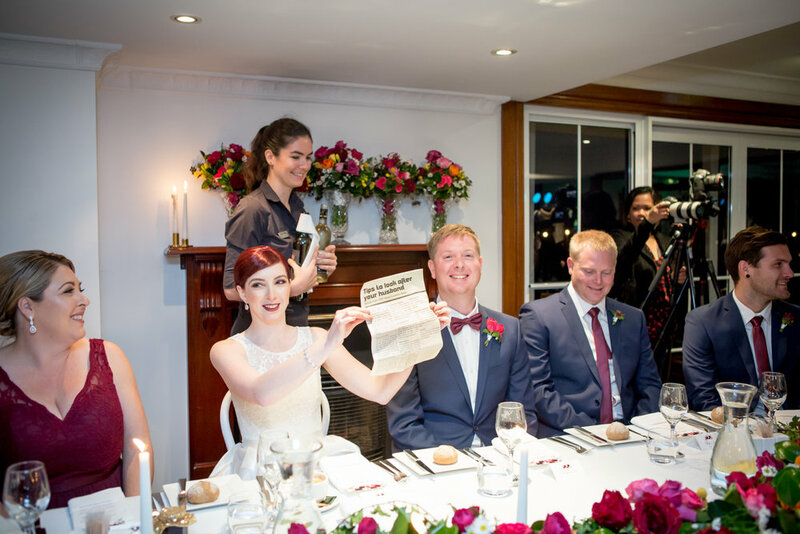 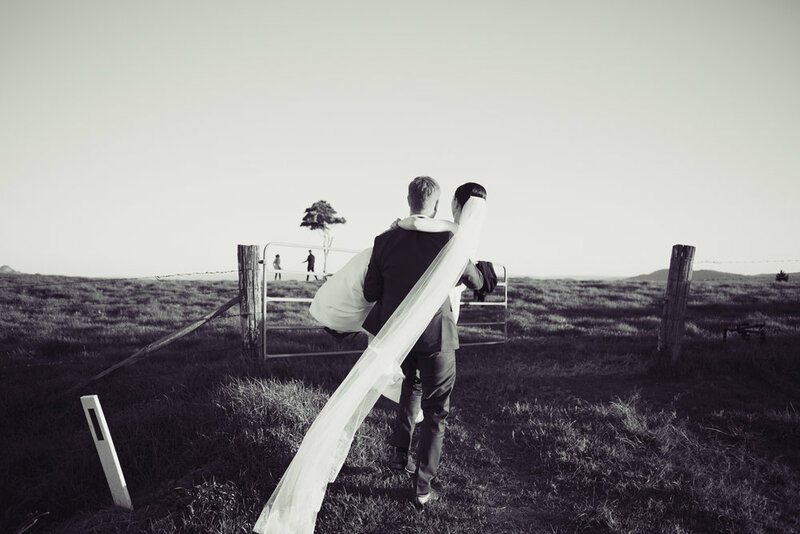 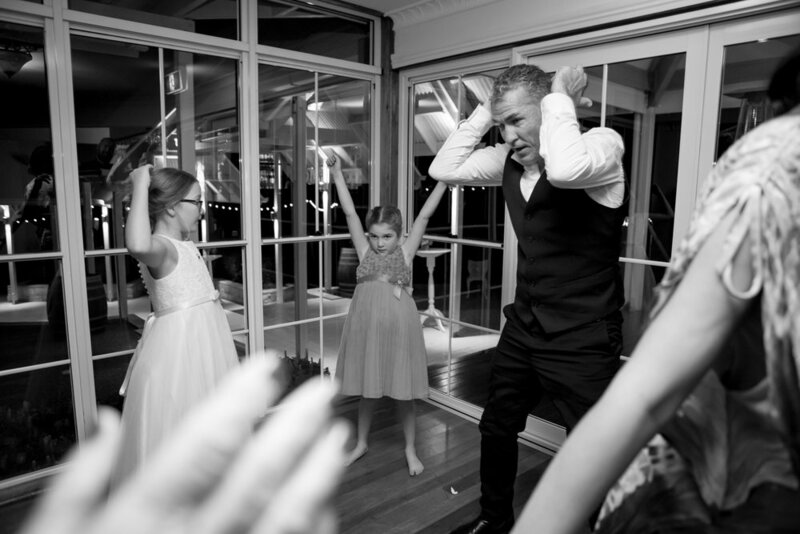 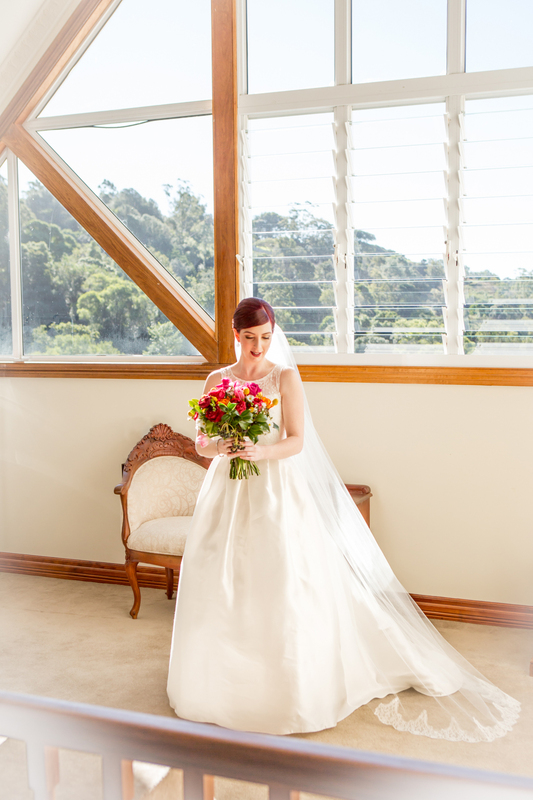 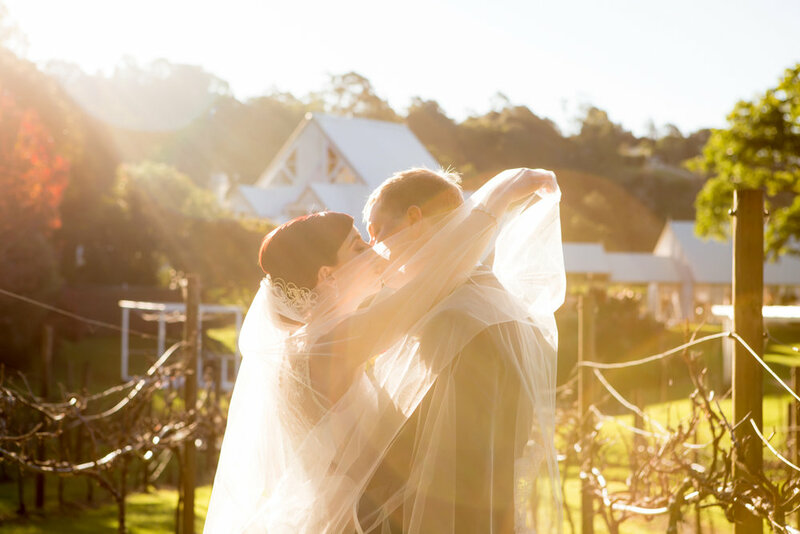 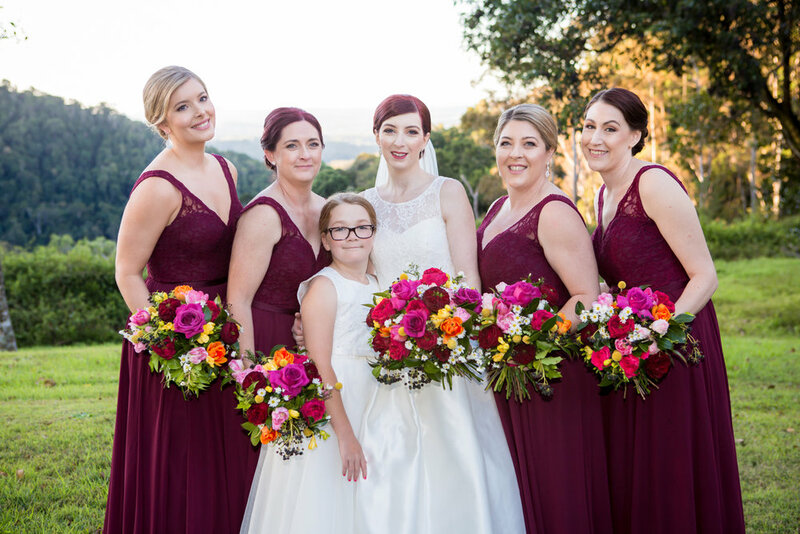 The ceremony and reception are at Maleny Manor, a quaint two story manor house on the edge of a hill, with spectacular views from outside on the grounds. 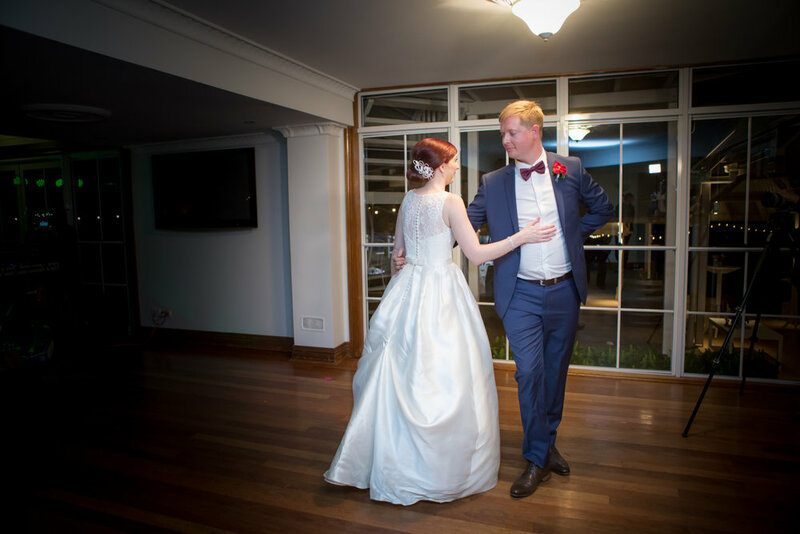 It certainly had it's photography challenges indoors, like small spaces and low ceilings with timber vertical beams to manoeuver around, but a warm and friendly bunch of people keen to assist. 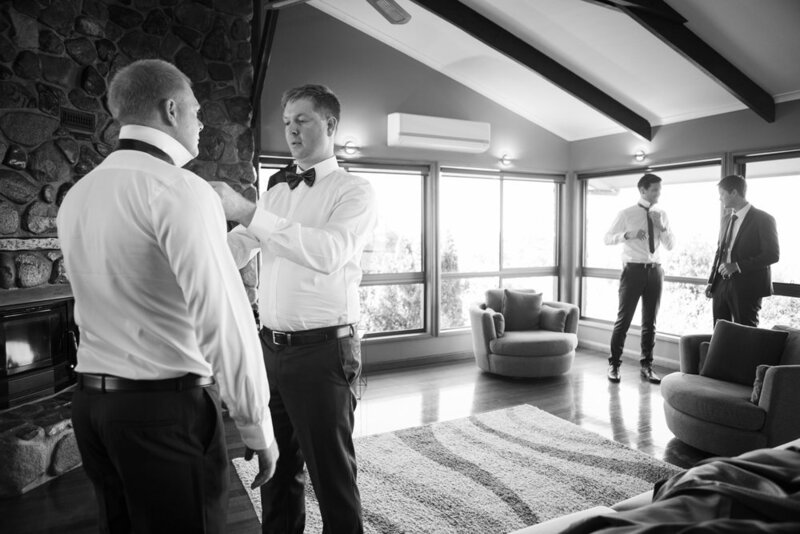 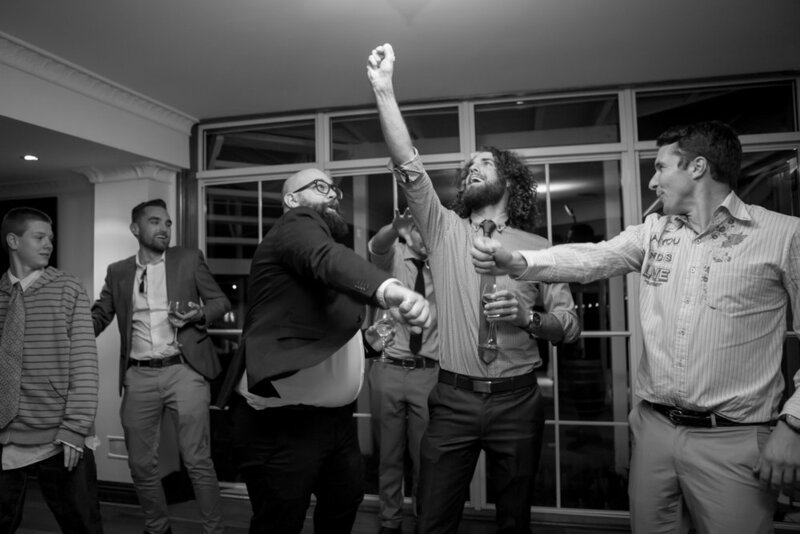 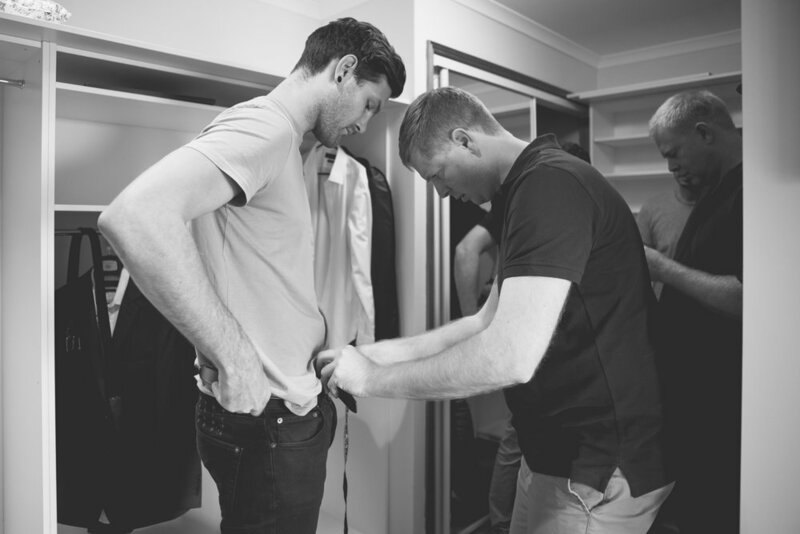 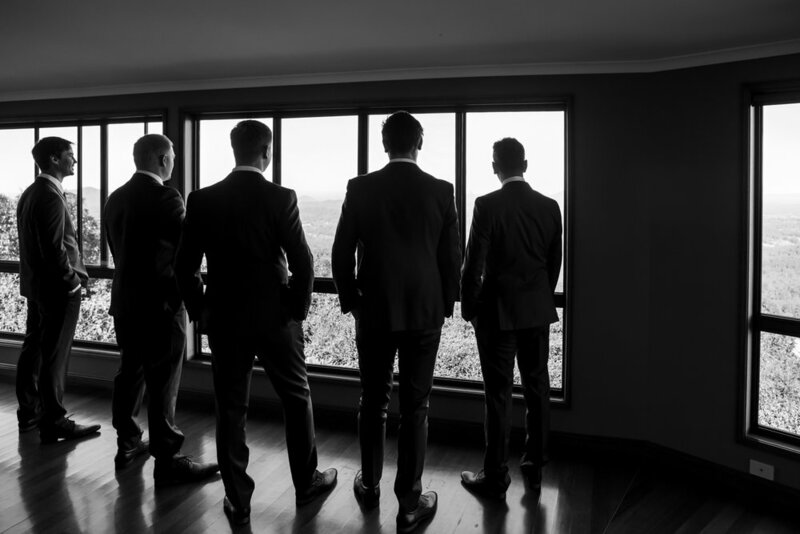 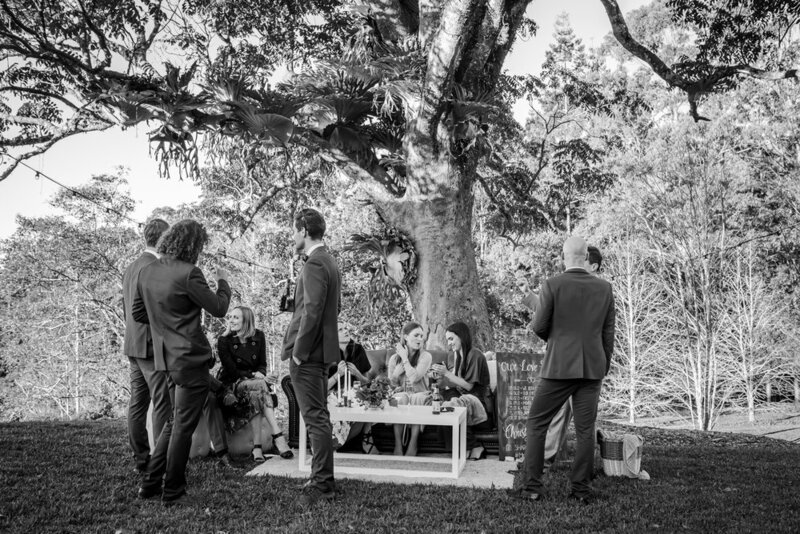 The guys got ready at a house with spectacular views nearby, rented for the weekend, with the girls upstairs at Maleny Manor. 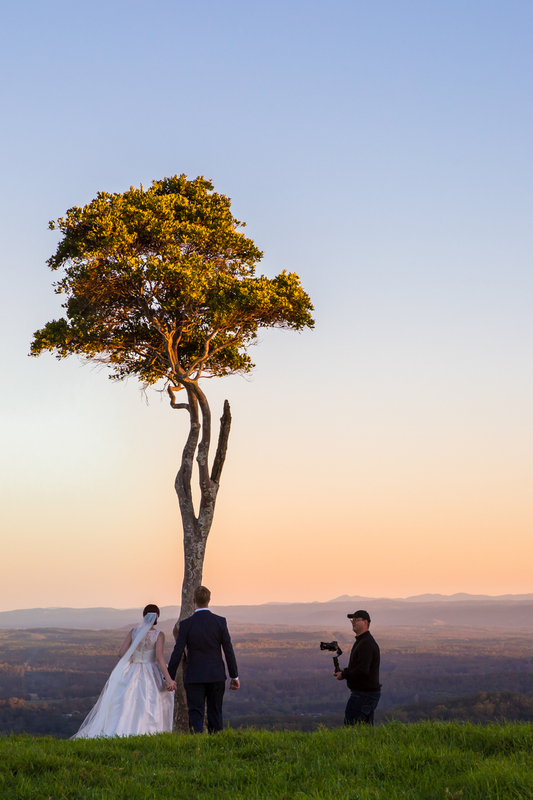 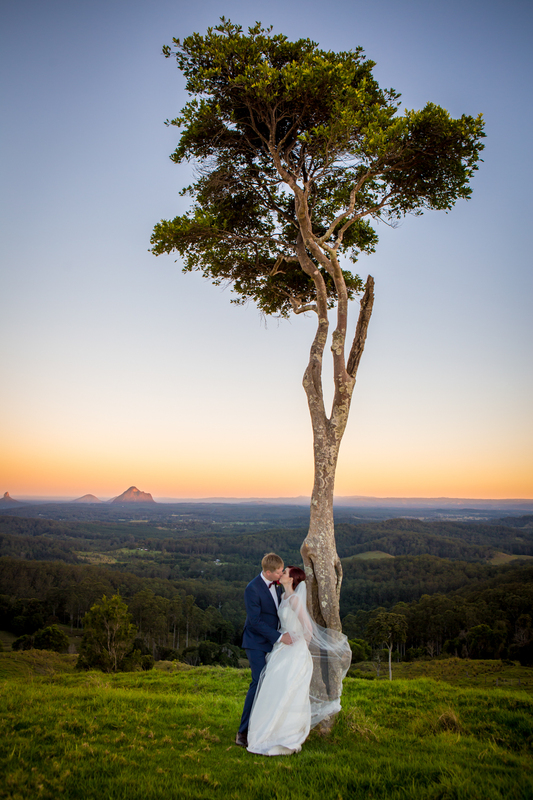 Photography onsite after the ceremony, with a visit to a special place called One Tree Hill, which is on a private property overlooking the Glass House Mountains, a 10 minute drive away.